Wanna get a sneak peek at what sales we’ll have up on Black Friday and Cyber Monday? See what’s coming up, plus get insider tips on how to make sure you get the best deals during our biggest sales of the year! 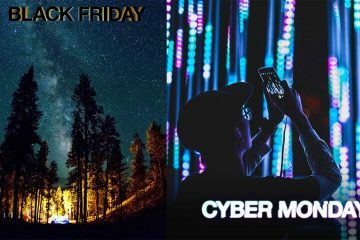 For Black Friday and Cyber Monday, StudentUniverse will be offering tons of deals above and beyond our normal flight discounts. This will be the biggest Black Friday/Cyber Monday sale we’ve ever had! Did you hold off on making travel purchases on Black Friday because you wanted to see what was coming for you on Cyber Monday? Welp, you’re in luck. We have some pretty awesome deals for you today. Looking to book your travel for spring break, a last minute study abroad flight, or even a quick weekend getaway somewhere across the United States? Purchase now with extra Cyber Monday travel deals so large, the world just got a lot smaller. The wait is over! The Thanksgiving leftovers are all packed away in the fridge and we are ready to serve up some of thebest Black Friday travel deals ever at StudentUniverse. Last-Minute Trip Deals! Save 15-20% Off Tours! Fly for Less: Help Us Celebrate StudentUniverse’s 15th Birthday!